Put away the terra cotta pots. You don’t need them. Ok, yes, they have their place in the garden and for lots of hard-working plants. But at this time of year? Let’s have more fun with our plants than the old standbys. Let’s shake things up! I can’t wait for full-on summertime when the garden is full of fresh veggies and the apple trees are slowly turning pretty shades of red. But while we’re waiting for that, I think we can have a little more fun with our indoor plants, don’t you? 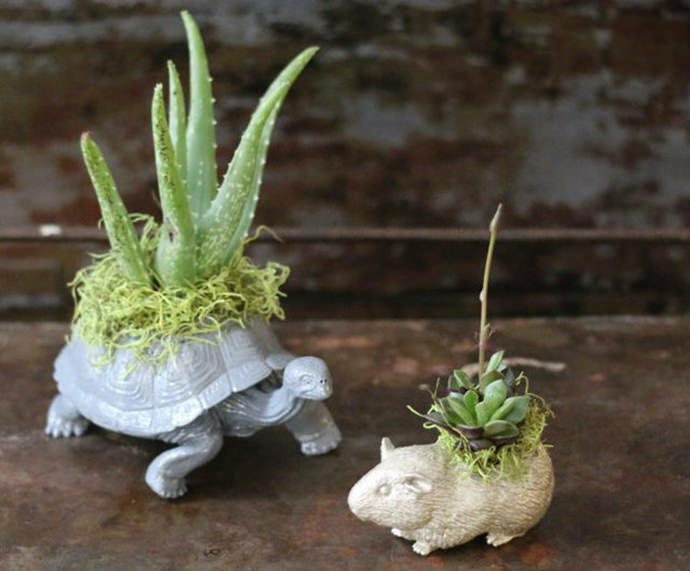 So upgrade your humdrum pots and planters with some of these witty versions instead – they’ll bring a smile to your face! I cannot get over how adorable these guys are. Plants pretending to be hair have always been cute since the days of Chia Pets, but these are the perfect upgrade. 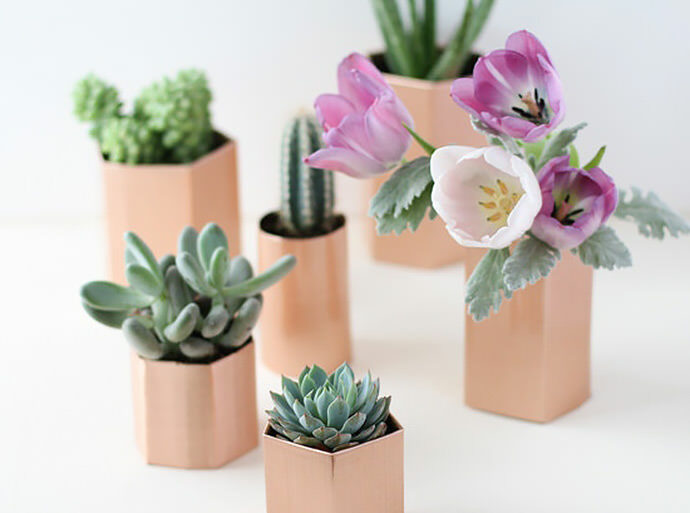 For the minimalist in all of us, keep it simple with these faux copper pots – they’ll add some shimmer and shine to your plant corner. You can find cute vintage ceramic animal planters if you look hard enough, but I’m always afraid to use them. Make your own with these plastic animals instead! 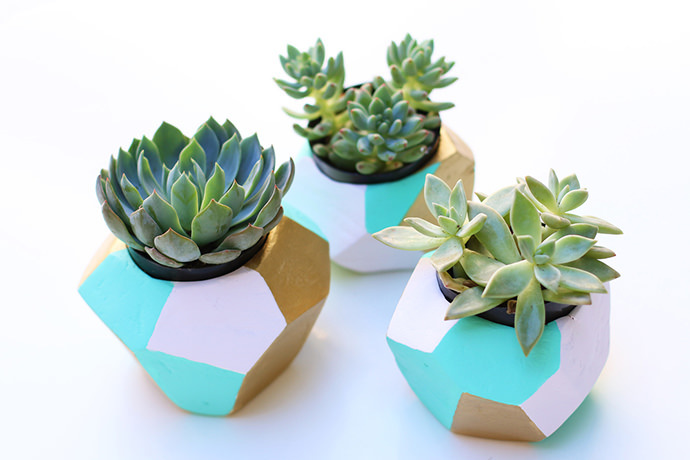 Pops of color always cheer up a ho-hum space, and these little planters are the perfect way to do it. Plus, you get to play with clay, what’s more fun than clay?! 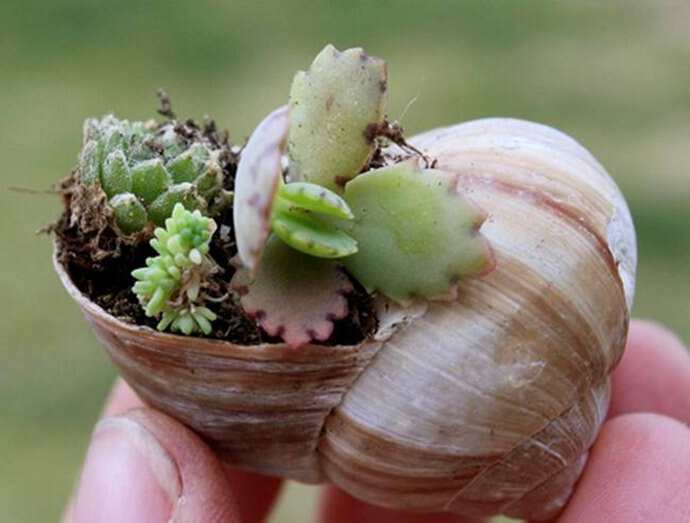 Forget the snails (though they’re pretty cute too), and keep the shells for your next mini plant project. The hanging versions are really sweet too! 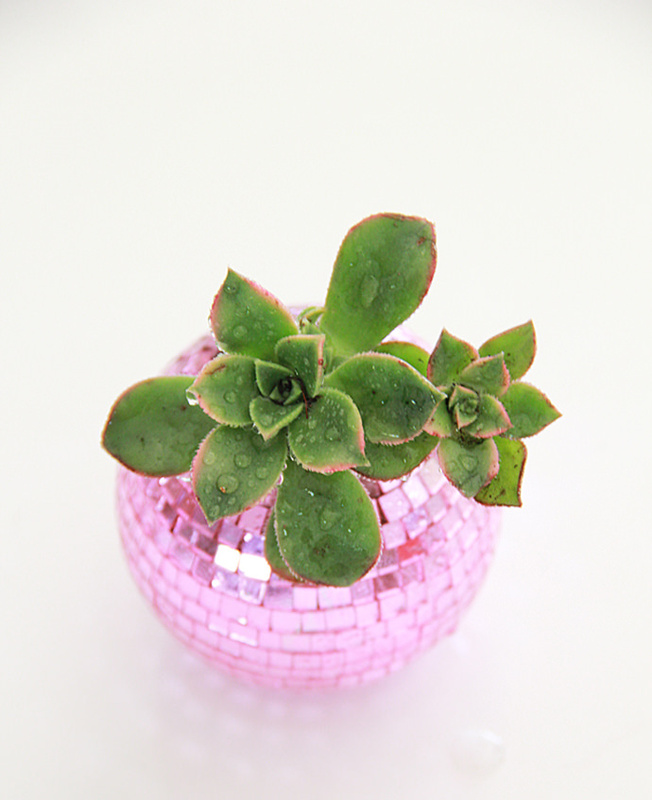 Pictured at the top of this post: Disco Ball Planter, tutorial via A Bubbly Life. Oh these are fun! Thank you for sharing. So cute! 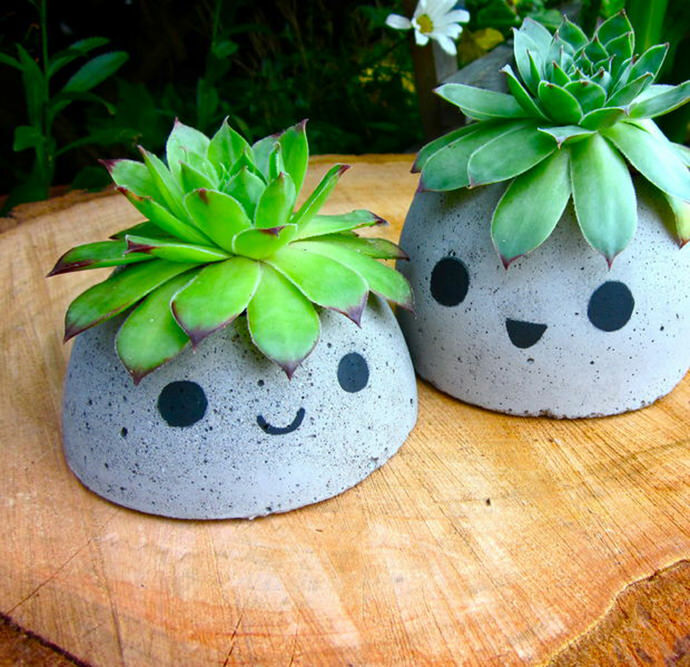 I love these fun planters! Nice collection, the copper and geo planters are our favorites!